The TFF-3 was designed for a west coast Naval Special Warfare operator with an emphasis on a large, yet lightweight design. 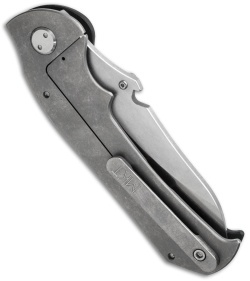 One design criterion was a built-in bottle opener, which has been included in the spine of the blade. 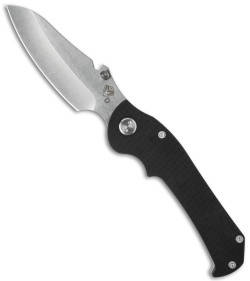 This knife has a tumbled D2 steel blade with thumb studs. The handle is black G-10 and tumbled titanium. The TFF-3 is a unique knife with an excellent build and solid performance.